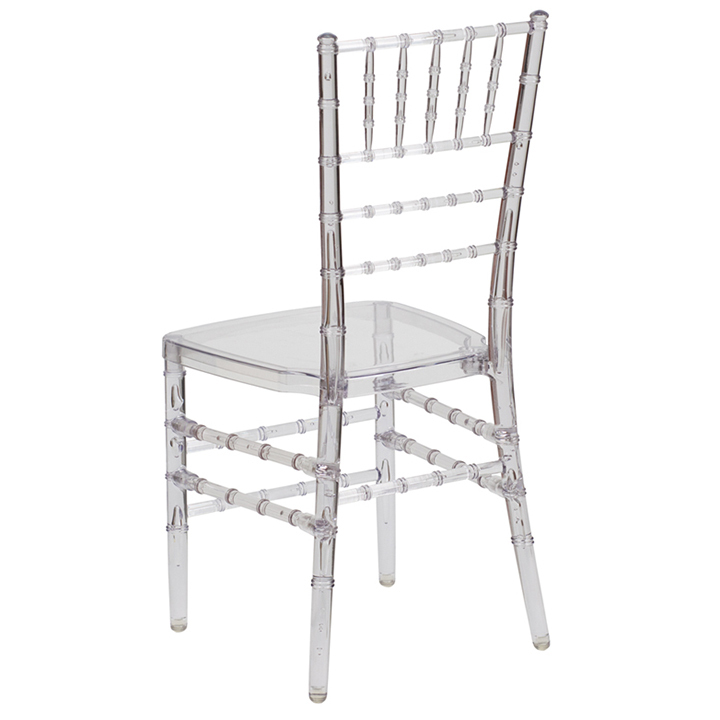 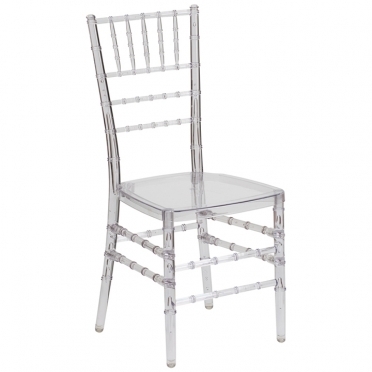 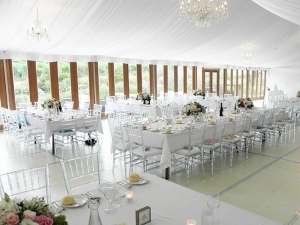 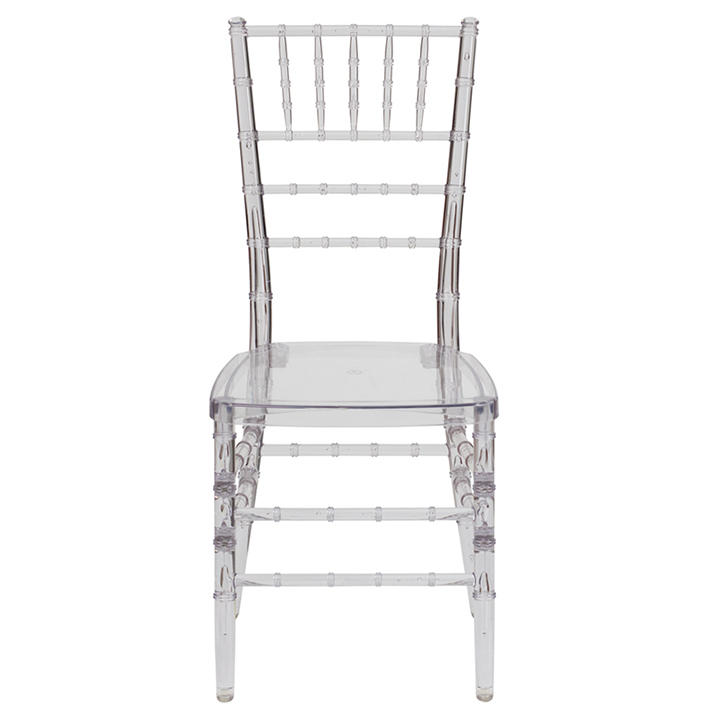 When an event requires unique and trendy decor, a polycarbonate clear Ghost Chiavari chair is the ideal selection. 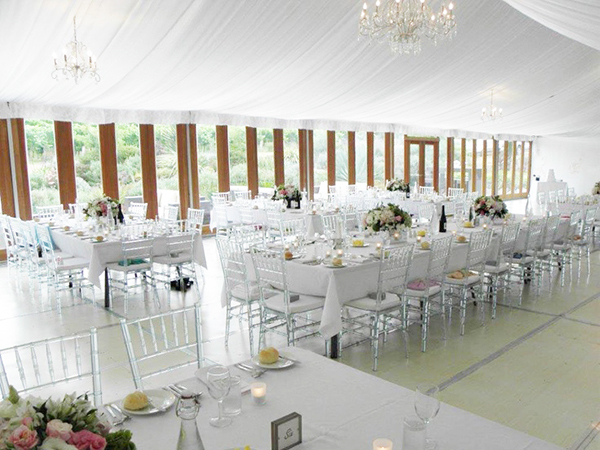 The modern design transforms any celebration by reflecting the lighting and creating a mystical ambiance. 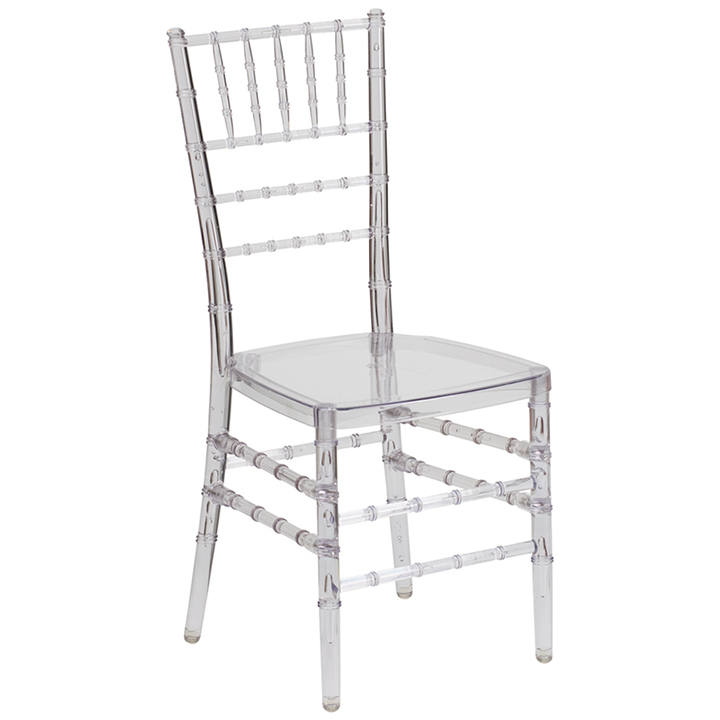 The flawless plastic is well constructed and looks like icy crystal. 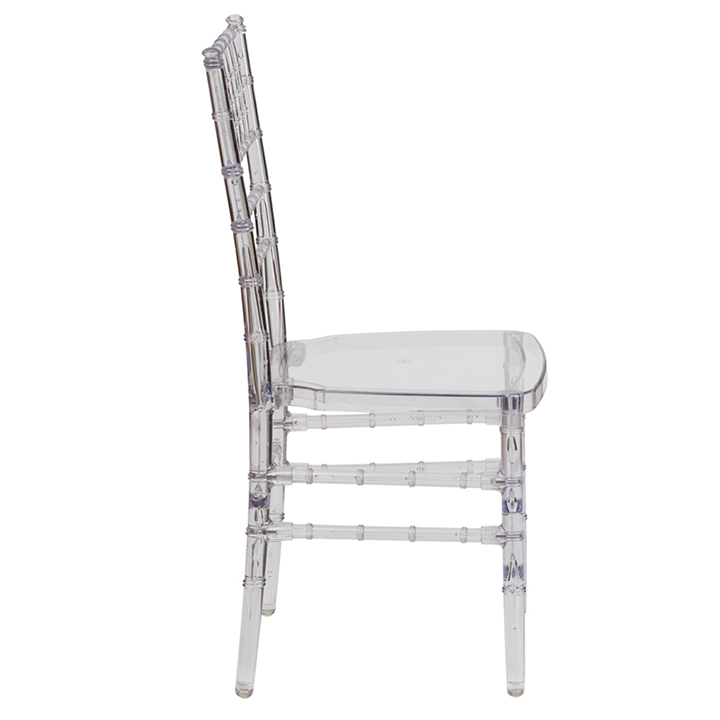 Thanks to the 100 percent virgin polycarbonate resin, the appearance is totally clear and brings to mind Cinderella's glass slipper. 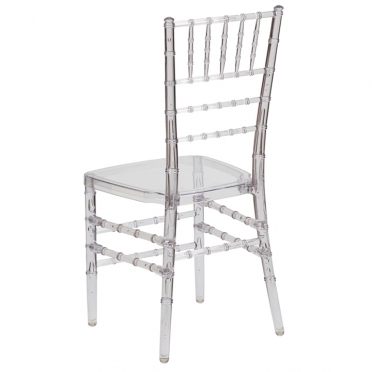 To ensure strength and durability, the manufacturing process minimizes gas bubbles. 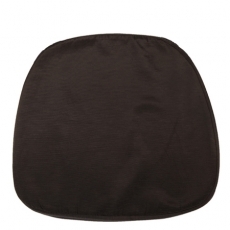 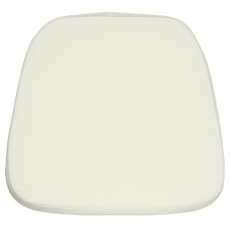 Protecting hardwood flooring is important, so chair glides are included on the bottom of the feet as well.